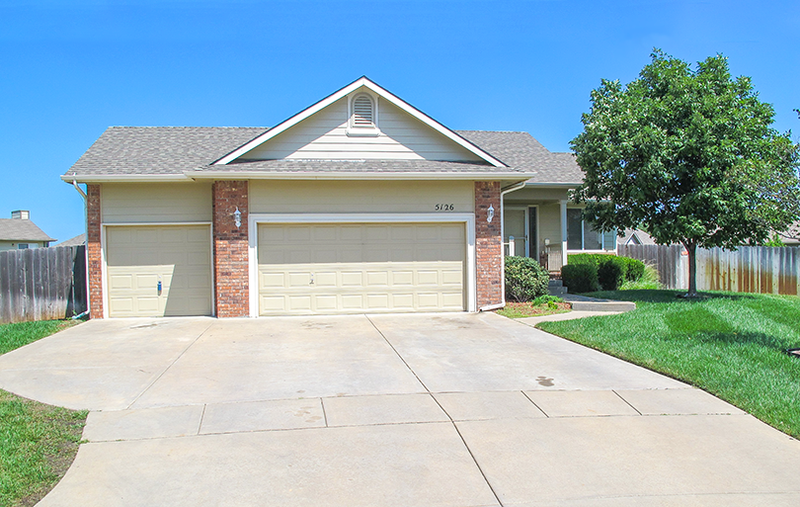 Wonderful 4-Bedroom, 3-Bath Home with a 3-Car Garage in Falcon Falls subdivision! This home sits in a large cul-de-sac lot with a covered front porch, an attached three car garage and a full, privacy-fenced backyard. The large backyard has a deck with space underneath for storage or additional entertainment space. The interior of the home features an open floor plan with new sleek hardwood flooring throughout most of the home. The living room has a gas fireplace, vaulted ceilings, a lot of natural sunlight and opens up to the kitchen/dining combination. Off the dining area is access to the backyard deck. What a great place to entertain family and friends! The kitchen boasts a decorative back splash and includes the dishwasher, microwave and oven. The master bedroom has a walk-in closet and a master en-suite with a separate soaker tub and shower. There is another bedroom and full bath with a tub/shower combination that complete the main level of the home. The day light basement provides a spacious family room, two more additional bedrooms and a full bath with a tub/shower combination. E. 53rd St. N. & N. Hillside St. - South to Peregrine St., Northwest to Home. Total Floor Living Area 2,210 Sq. Ft. Basement Finished Area 1,000 Sq. Ft. Above Ground Living Area 1,210 Sq. Ft. Lot Size 13,495 Sq. Ft.